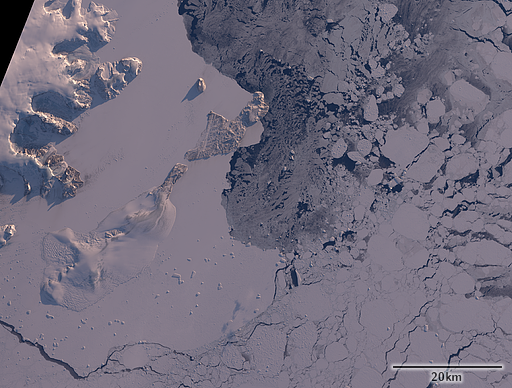 Here a recent Landsat image showing the return of the sun to the Antarctic after the southern hemisphere winter. The location is near the tip of the Antarctic peninsula at Seymour Island with the eastern end of James Ross Island on the left and Snow Hill Island at the bottom. 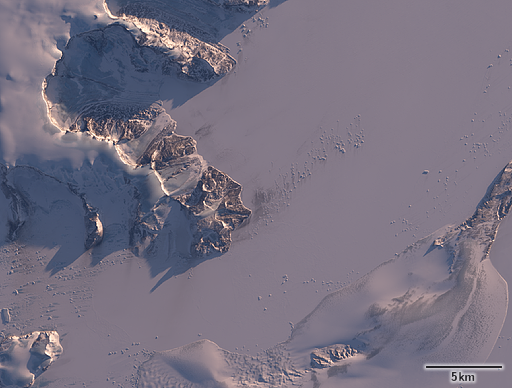 The area is one of the driest parts of the Antarctic peninsula with Seymour Island being completely glacier-free. In the following crop of the island you can see the runway of the Argentine Marambio Base which was the first permanent airfield to be built in the Antarctic. The following second crop shows the area between James Ross Island and Snow Hill Island. 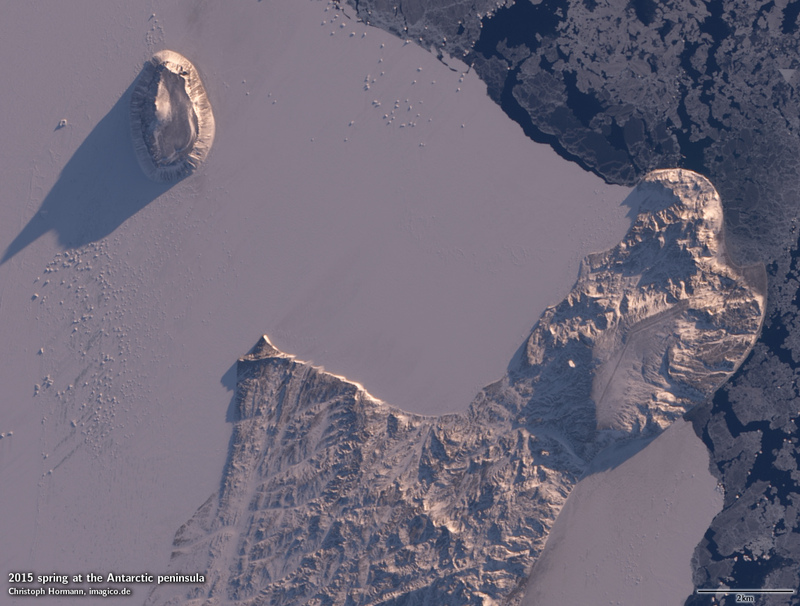 Well visible are the darker areas of snow free glacier ice. The snow cover accumulating during winter is very thin here. The sea ice in the middle of this crop is from this winter while the ice on the very left bottom is older, it did not break up during the last southern hemisphere summer. In this area coastal ice can sometimes get several years old before it dissolves during a particularly warm summer.